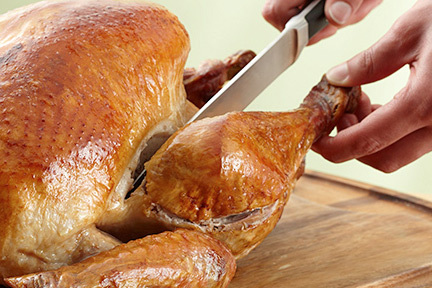 Should you eat the dark-meat at your Thanksgiving meal? Here’s a Thanksgiving question you may have been wondering about: Is dark-meat turkey really that bad for you? The answer: Go ahead and reach for a drumstick! According to registered dietician Joanne Larsen, turkey is a good source of low-fat protein and nutrients, no matter which cut you choose. Also, dark meat has only 8 calories and 1 gram of fat more per ounce than white meat – but it has about twice as much riboflavin and zinc, which are key for energy and a healthy immune system. Dark meat also provides nearly two-and-a-half times as many heart-healthy omega-3 fatty acids.